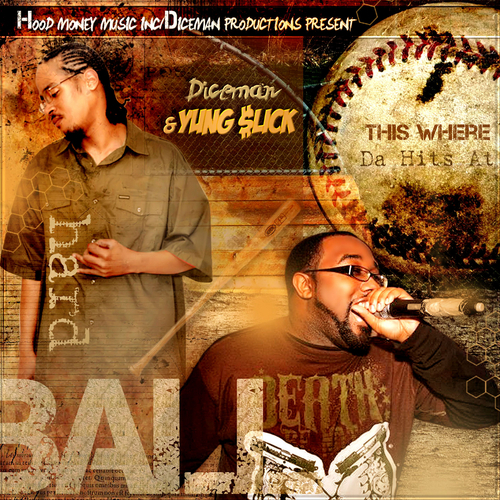 About "Hardball" Mixtape: DiceMan & Yung slick of Hood Money Music Inc. bring you a collection of hot music called "Hardball Mixtape: Where da hits at ". 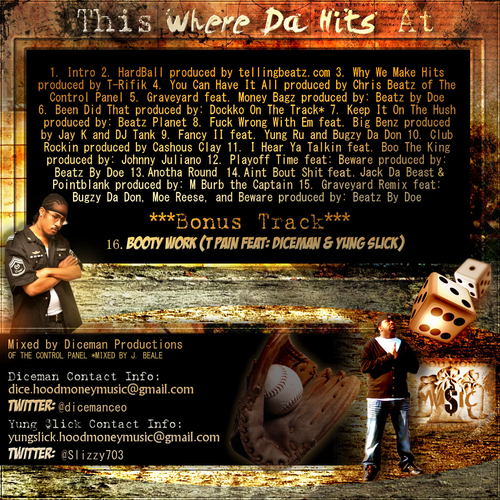 With hot songs like the first single " GraveYard " featuring Money Bagz (video on youtube), and the street anthem " Been Did That "(second single). There is something on this mixtape for everyone.